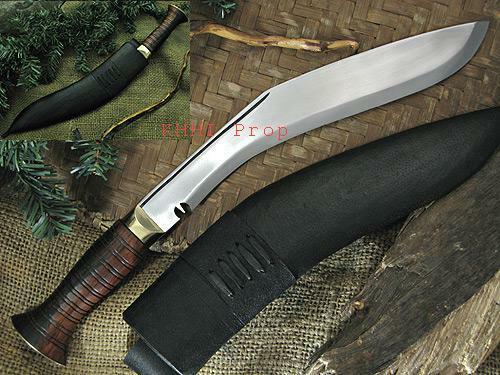 Its ideal blade size backed up by an effective (full-of-ridges) handle makes it an excellent sacrificial, utility, domestic and a must-carry jungle knife..
“Dorawal or Dora-wal” in khukuri terminology means “Full of Ridges”. 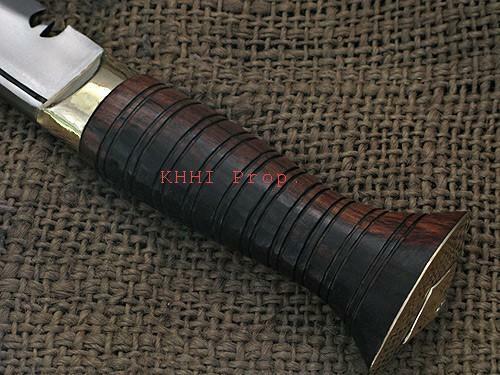 A numbers of ridges are crafted all over the handle to give a superior and comfortable grip. “Dorawal” is the contemporary version of the traditional sacrificial kukris. It is actually a simple type just made with an improved handle executed to provide better grip, which is crucial for an effective use. The standard handle is made with ridges all over it and purposely semi-polished (left raw) to deliver a superb handling in whole. Ridge provides resistance and compactness to the palm of the using hand and thus becomes very easy to use even in a wet condition. This basic but important feature of the “Dorawal” is its extra specialty and distincts it from the herd. 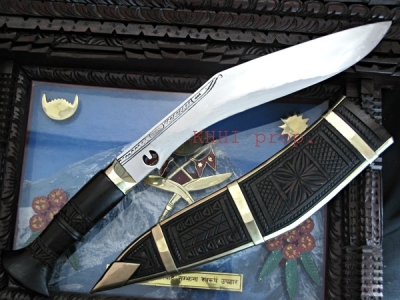 Moreover the 13.5 inches blade is an ideal size to treat the khukuris as a machete or a sacrificial knife. The blades coverage is excellent and well balanced hence better result and superior control is bound to happen. 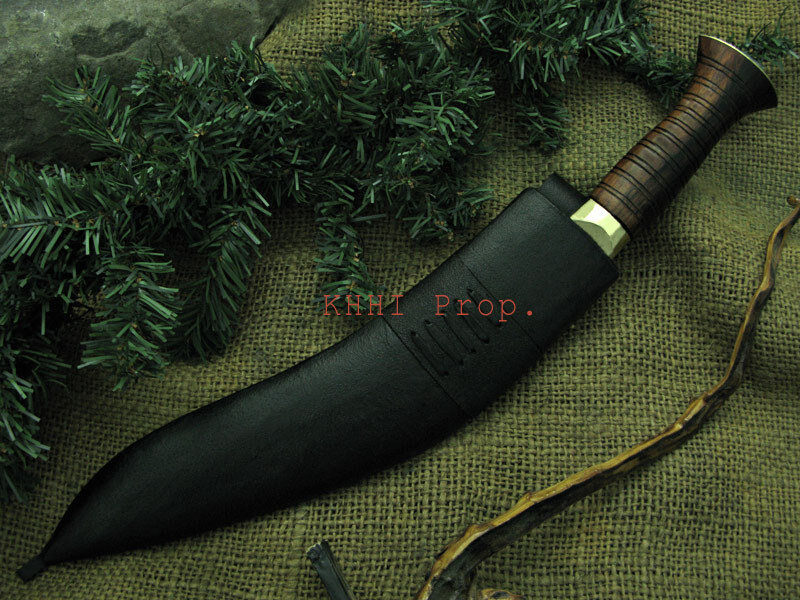 Dorawal with its ideal blade size backed up by an effective handle makes it an excellent sacrificial, utility, domestic and a must-carry jungle knife. Nepalese main festival, Dashain, during which on the 9th day called “Maar” domestic animals are sacrificed at home or mostly at temples as an offering to the goddess “Kali Maata”. The ceremony is performed after going through all the rituals and the beheading must be done in one clean stroke otherwise it is believed to bring ill fortune. This is where the large khukuris are brought to use to achieve the objective. Of late “Dorawal” has also come into practice since it provides better grip and its perfect range, shape and weight facilitate a clean stroke required to sacrificing goats and calves. Many prefer Dorawal to other traditional designs and now we get to see Dorawal in action more often. 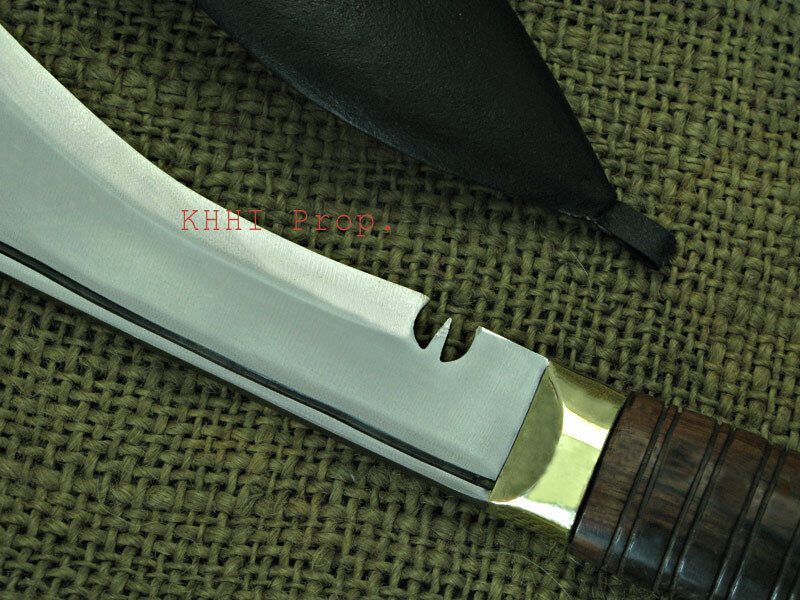 A lanyard hole is fitted in the tip of the scabbard, for a leather thong to go round the thigh, to prevent wobbling.